Ian Duncan The Avenue C poker club was robbed at gunpoint on Saturday. It has now closed. 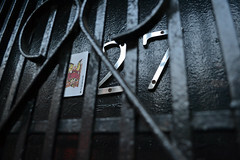 Below: a joker marks the club’s door. Six card players were robbed at gunpoint late Saturday night in a poker club on Avenue C, according to police reports. 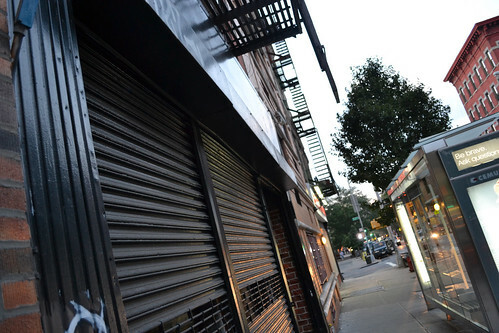 Two armed men entered the New York City Poker Tour club shortly before 11 p.m. and ushered the players into a closet before robbing them. One player – identified by owner Jeremy Martin as Michael C. – had just returned from a successful night at a casino and was carrying $4,500 in cash. The club had closed on Saturday night, but Mr. Martin and a few other players were inside after hours. The robbers knocked at the door and were let in. They quickly rounded up the players, took their cash and left. Mr. Martin believes that he was “set up” by one of the players, because the gunmen shook down Michael first, before ordering the other players to empty their pockets. Mr. Martin said no one was hurt in the robbery, but according to police reports, one person was punched in the face by the attackers. The robbers escaped with $6,500 in cash, a driver’s license and a Medicaid card.